After Shahbaz Nadeem, bowling the first over of the game, got his first two balls to grip and turn, Delhi Daredevils captain Zaheer Khan may have been proud of the move to play an extra spinner. That changed quickly as Mumbai Indians' Krunal Pandya pummelled 13 boundaries in a 37-ball exhibition of power-hitting against spin. His career-best score of 86 set up Mumbai's total of 206 and their subsequent 80-run win in Visakhapatnam. As a result, they climbed to third spot on the points table, and Daredevils dropped from fourth to fifth. 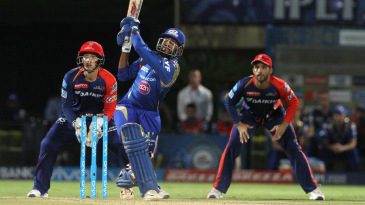 Rohit Sharma had laid into Nadeem in the first over to set the tone for Mumbai's innings. A sweep and a lofted cover drive off consecutive balls meant Mumbai had already equalled their Powerplay boundary count from their previous game. 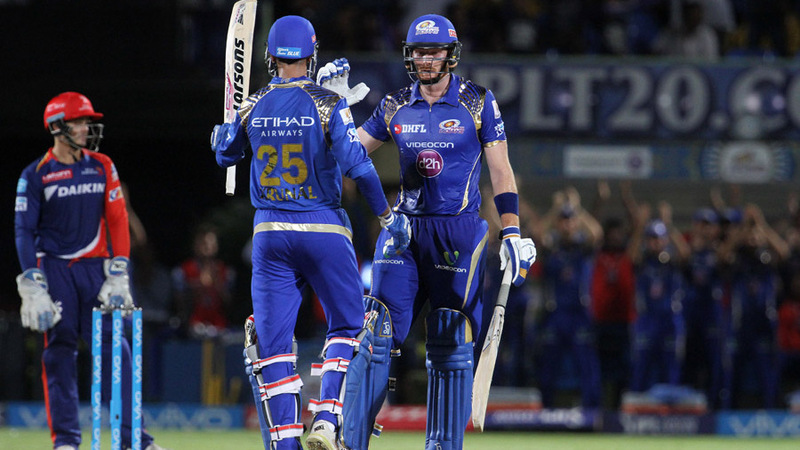 However, Martin Guptill struggled to find timing in his second IPL game despite a forehand swat he sent for six over point in the fourth over.